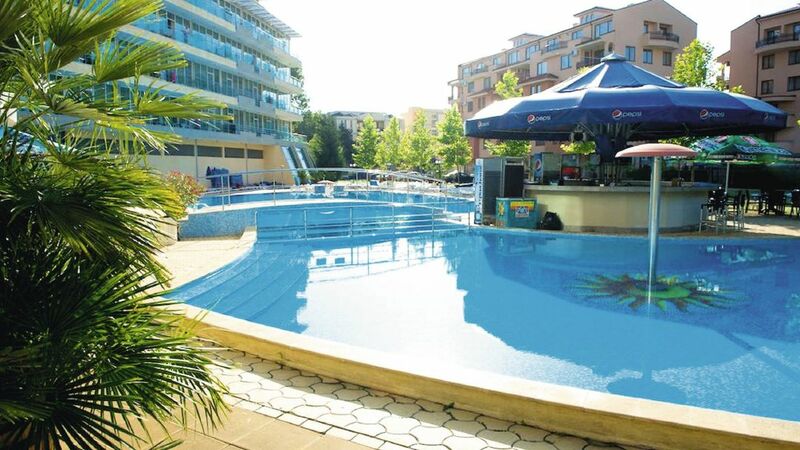 Surrounded by the bustling resort of Sunny Beach, the Ivana Palace hotel is ideal for those who want everything at their fingertips, from bars and restaurants, to clubs and shops. 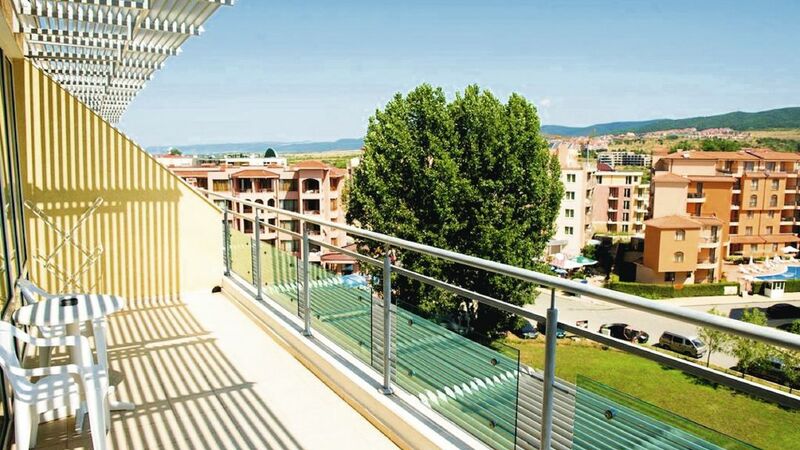 Sitting in the western section of the resort, the hotel is around 300 metres from the bay. At the beach you will find a long stretch of golden sands, with sun loungers available for hire and an array of activities on offer such as water sports include parasailing, water skiing, banana boat rides and jet skiing. Guests can enjoy dips in the water at their own outdoor swimming pool, which is enclosed by a terrace furnished with beds and umbrellas. 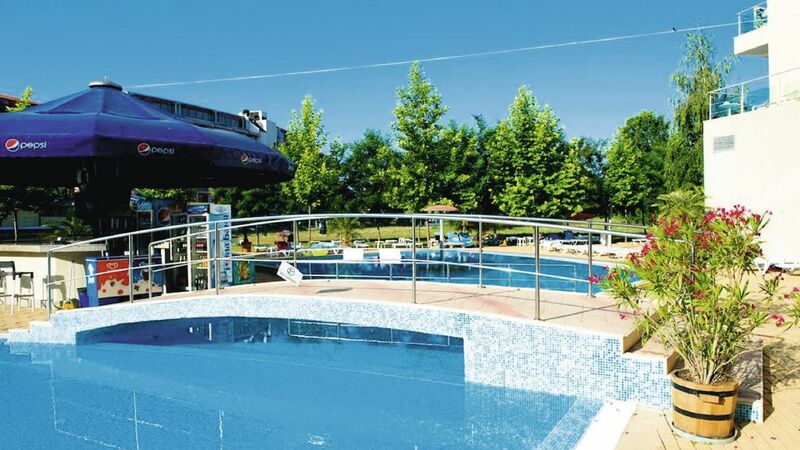 Those travelling with children can make use of the children's section of the pool. If you're looking for something more relaxing, head inside to the hotel's wellness centre, which boasts a Jacuzzi, sauna and a massage studio. A hairdressers is also found here. Those who wish to keep fit during their stay can take advantage of the gym, which is fitted with cardio and weightlifting equipment. A choice of local Bulgarian and European cuisine is offered at the hotel's restaurant, which offers both inside and outside seating. 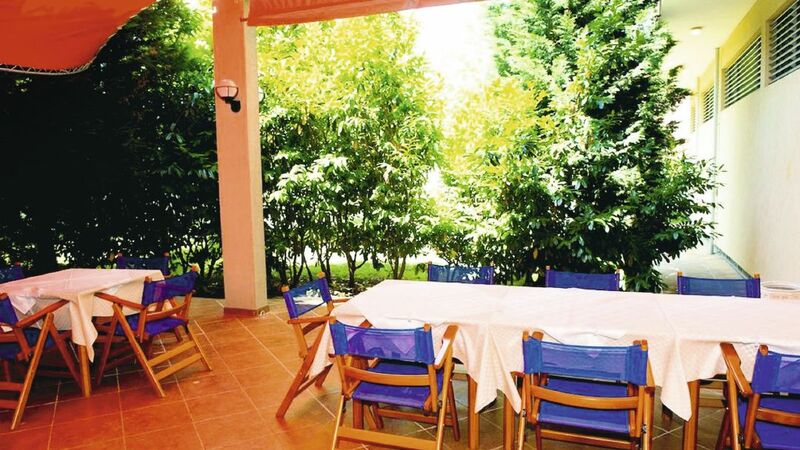 Al fresco meals are taken on the terrace, which enjoys views over the gardens and of the swimming pool. 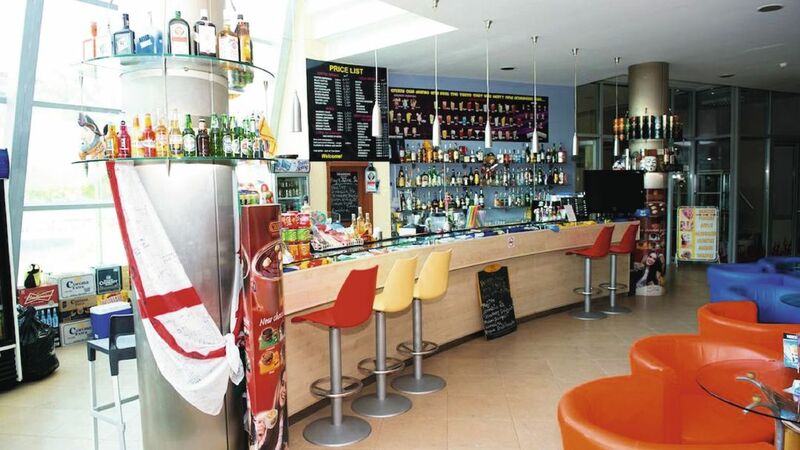 Drinks are served in the laid back lobby bar, or whilst you soak up the sun and enjoy the water at the poolside bar. 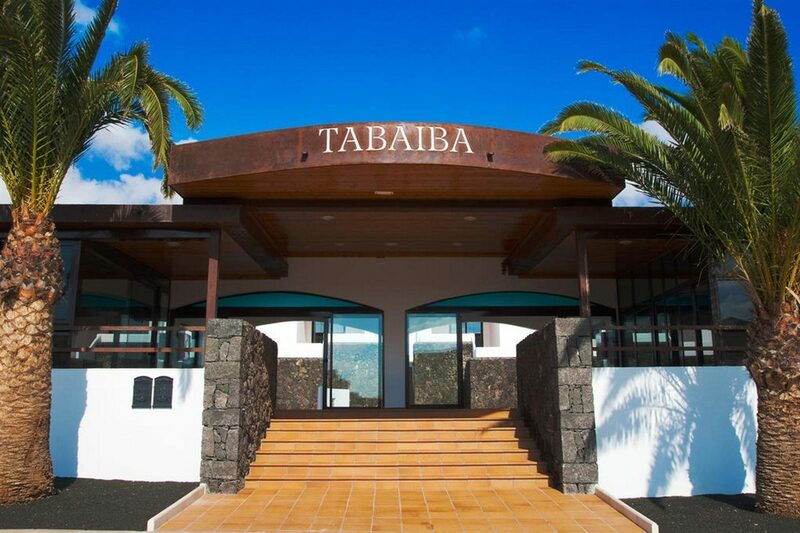 The services offered by the hotel are: 24h reception desk, currency exchange, safe deposit boxes, internet access, rent a car, swimming pool, swimming pool for children, conference hall and a shop. The hotel has modernly equipped fitness centre, massage studio, jacuzzi, sauna, medicine cosmetics and a hairdresser's studio. Sunbeds and umbrellas are free to the guests of the hotel. The hotel offers a 24 hour medical centre. 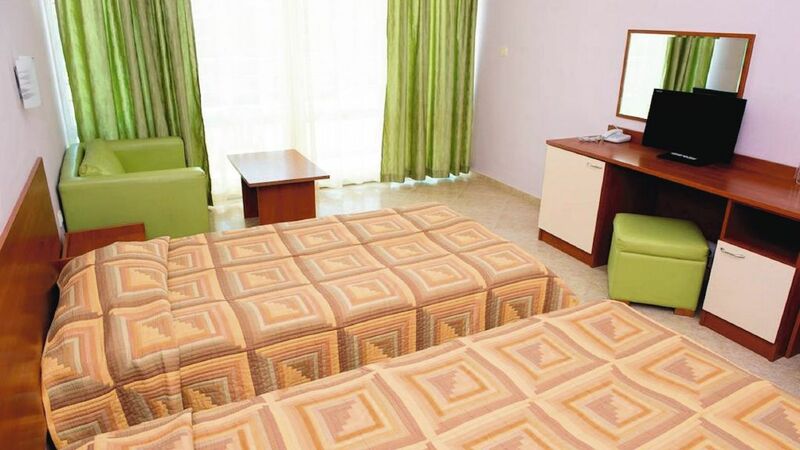 The hotel offers a choice of guest rooms and apartments, so families are easily accommodated. 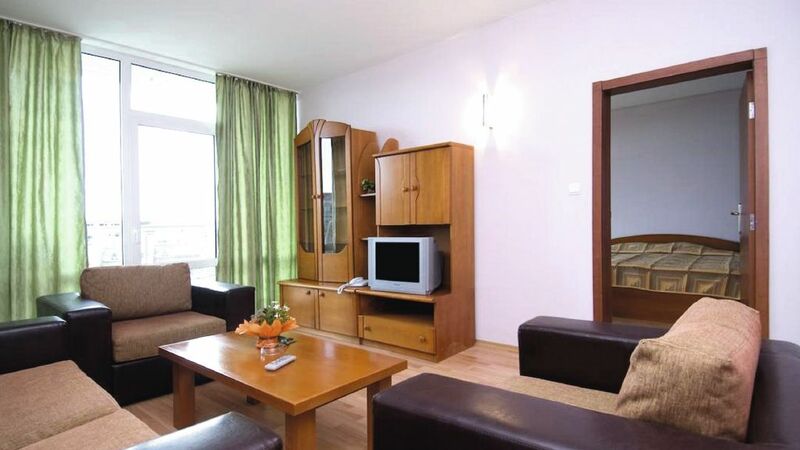 Each room is equipped with air conditioning, cable TV, a telephone, fridge and a private bathroom. Certain amenities may be payable locally. The hotel's restaurant offers a blend of traditional Bulgarian and European cuisine in its restaurant, which boasts an outdoor terrace that looks over the gardens and pool area. 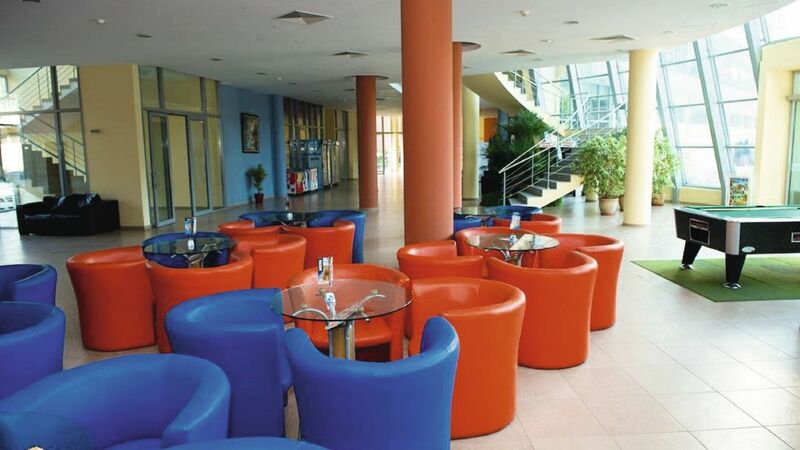 Drinks are offered in the lobby bar and at the poolside bar.